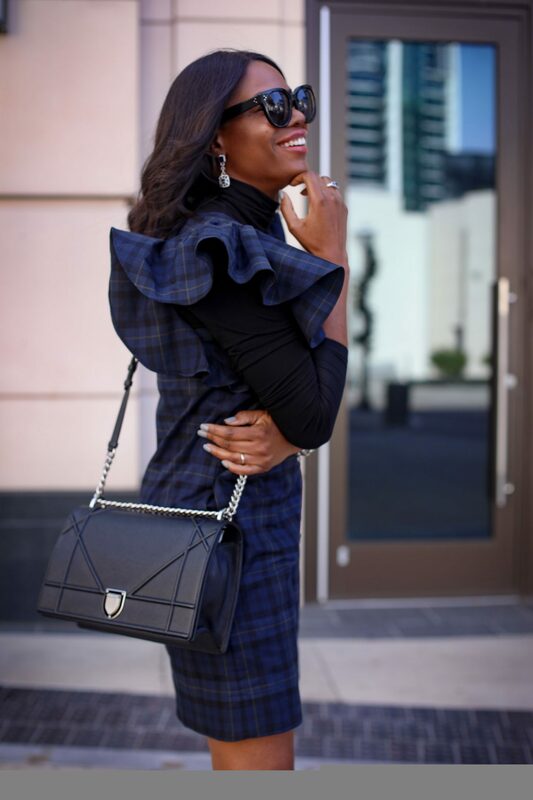 I love a good plaid dress especially when it features ruffle sleeves. 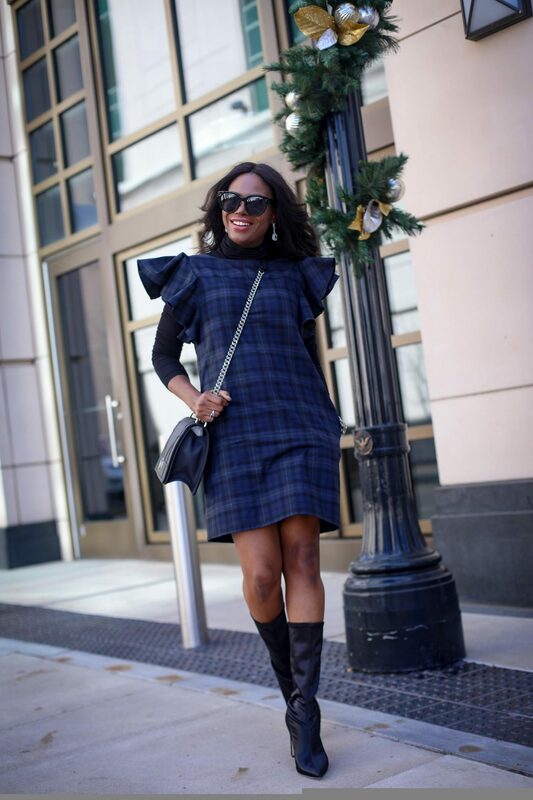 I partnered with August Morgan to style this dress, which serves as a great option for a number of holiday gatherings. As much as I love the ruffle sleeve detail, its also cold outside, hence I decided to layer the dress. Layering an item can make your outfit either casual or dressy. What you choose to layer it with, and how you accessorize it will ultimately determine the direction of your look. For today’s outfit I wanted to create an everyday look, that would work for more casual occasions. 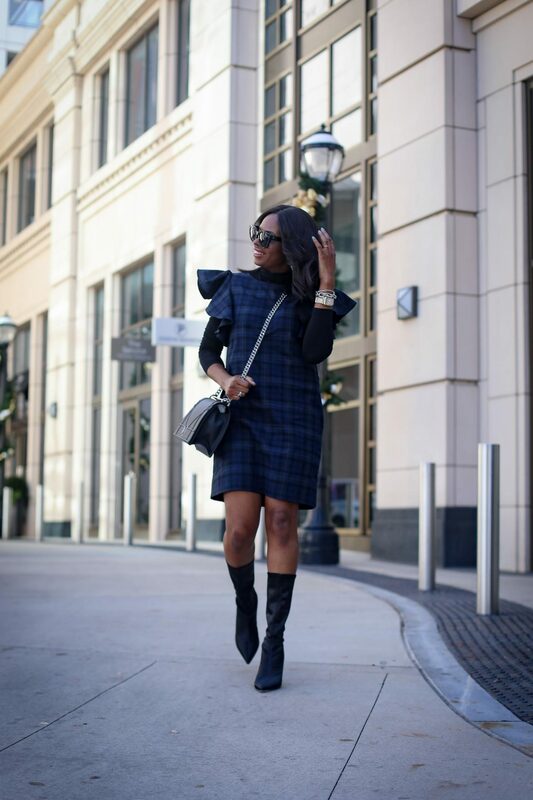 That is why I opted to layer the dress with a classic turtle neck top. Knee-high boots and a cross body bag. I chose classic pieces, and styled them casually to create a great festive outfit of the day.